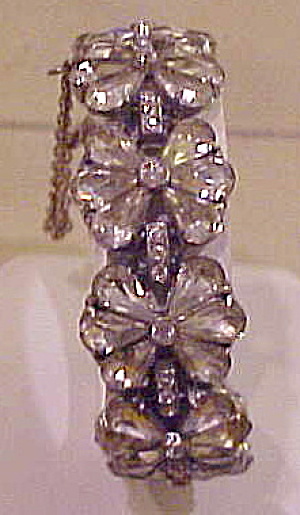 Rhinestone flower bracelet. Some petals in the flowers show wear. 7" x 3/4"